Liverpool target Nabil Fekir could be heading to Old Trafford after the World Cup according to French newspaper Le Progres. Just before the start of the World Cup, Lyon captain Fekir was close to signing for Liverpool and the attacking midfielder had even done a photoshoot with the Merseyside club's kit ahead of his official announcement. But the negotiations broke down due to Liverpool's refusal to pay the initially agreed sum for the player. Le Progres claim “Liverpool decided to lower the price for Nabil by €5m (£4.43m), hiding behind a cartilage problem of the player’s knee, which was an old story and is not at all preventing him from playing in the World Cup." The local French newspaper claim that Lyon is a "selling club" and they will still offload a number of their top stars this summer for revenue. 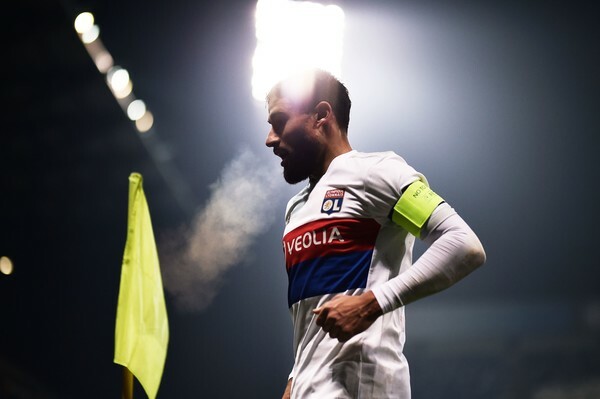 Lyon have already made €47m from the sale of five players this transfer window and more could follow with Fekir most likely to be sold despite the club's releasing a statement that they are happy to keep him. Le Progres claim Manchester United's offer for Nabil Fekir is "the latest" in a long list of offers for the attacking midfielder. "For Nabil, offers are not lacking. The latest comes from Manchester United," the report reads. Fekir is currently with the France National team, they beat Argentina yesterday 4-3 to qualify for the quarter finals of the World cup and they look like a team that could go all the way at Russia 2018 World Cup.